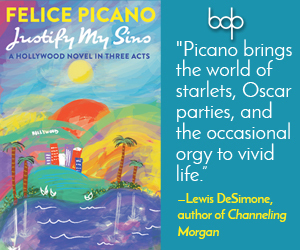 Luis Negrón’s debut story collection, Mundo Cruel, is a study in verve, sass, and voice, peppered with a dash of spirituality. Short and sweet, this slim volume delivers its wisdom in one breakneck sprint through the cosmopolitan barrio of Santurce, San Juan, Puerto Rico. Negrón’s work has garnered comparisons to Manuel Puig, the late Argentine pop author best known for his novel Kiss of the Spider Woman. It’s an apt comparison. Like Puig, Negrón’s prose crackles with the voice of the street, constructing deep meaning out of absurdity and satire. But Negrón is his own writer. Presented as a play, two reactionary mothers read a queer neighbor boy (and his kin) for filth, disguising their bigotry as altruism in “So Many, or On How the Wagging Tongue Can Cast a Spell.” “The Vampire of Moca” examines the life-cycle of jealousy through the eyes of an aging queen vying for the affections of an ostensibly straight macho stud. An anointed adolescent “fag” spreads the Good News in unorthodox fashion through an eager congregation in “The Chosen One.” And, taking a somber turn, “The Garden” finds Nestito reflecting on the incarcerating nature of affection as his terminally ill lover, his lover’s sister, and he prepare to ring in the New Year. Negrón leverages the subversive camp of queerness here, taking every opportunity to lambast bigotry and internalized homophobia in equal measure. 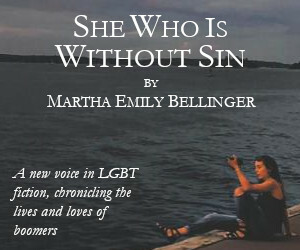 These brilliant, tightly constructed stories are peopled with characters meant to represent a sexual polarity: either they’re out-and-proud queens, or they’re staunch heterosexuals, loath to cop to disruptive desires. Those that do trip across the no man’s land of fluid sexuality do so quickly, deliberately, and in ritualized fashion, all the better to facilitate a neat justification. 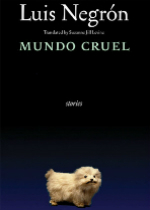 Mundo Cruel is a shrewd celebration of subversion, to be sure, but for all its bravado the broader point here is a quiet reaffirmation that we all possess the innate capacity to subvert the status quo. Queerness is merely one mechanism (perhaps the most fun) by which it can be accomplished.